Published monthly, San Antonio Medicine is distributed to more than 4,500 physicians and medical professionals throughout Bexar County. These physicians and health professionals, in turn, contribute articles to the publication in the spirit of advancing medical knowledge and strengthening the bonds of the local physician community. Members of the BCMS Communications/Publications Committee approve editorial content for San Antonio Medicine. 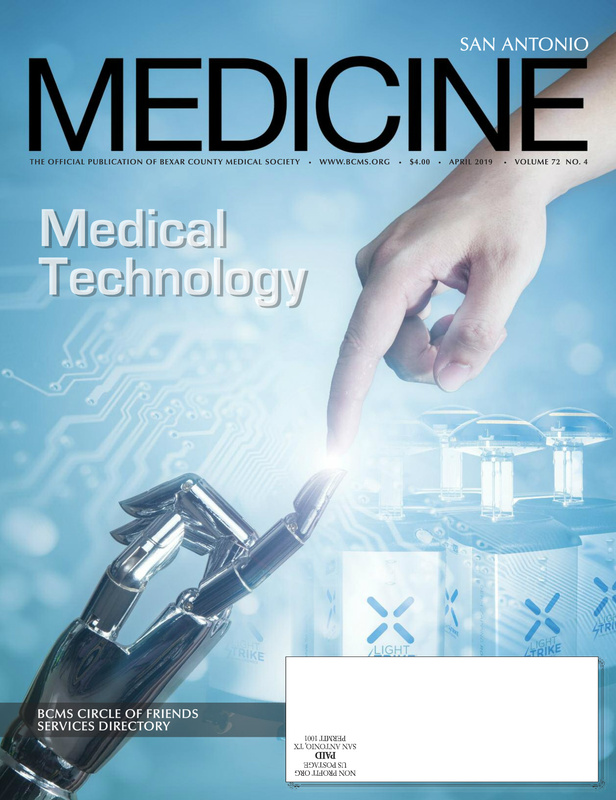 Each monthly issue typically includes monthly thematic articles, medical society news, lifestyle features, practice management information and more. Subscriptions to San Antonio Medicine are free of charge to society members. Additional subscriptions are available for purchase by calling (210) 301-4391. For more information, email editor@bcms.org.